A woman has received the first ever double arm ‘transplant’ to be completed in France - at a Grenoble hospital - just two hours after she was injured in an accident involving a train. 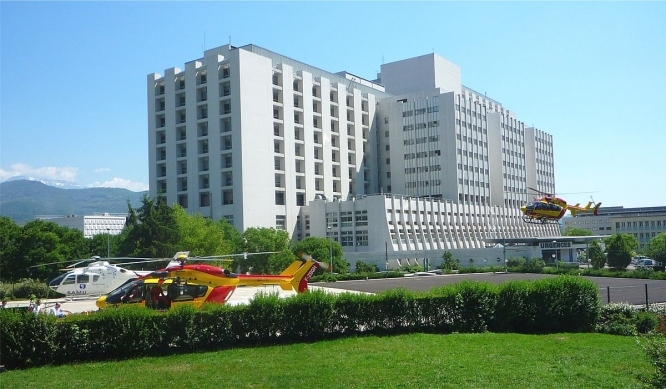 The 30-year-old patient - whose identity has not been revealed - was taken to hospital in Grenoble (the Centre Hospitalier Universitaire Grenoble Alpes (CHUGA)) with both of her arms severed from her body, and was in surgery just two hours later. She recovered from the surgery with both of her arms reattached. Both limbs had been transported to hospital in perfect condition. The surgery is the first of its kind to ever have been successfully performed in France. “The medical team has succeeded in doing the first simultaneous re-attachment of arms in France,” a press release from CHUGA announced today, as reported in local newspaper Le Dauphine. If there had been a longer delay between accident and surgery, the patient may not have been so lucky, the press release continued. Although the arms have been re-attached, the patient now faces rehabilitation over several months, to recover the limbs’ proper functionality, and learn how to use them again after the accident.